Could The Scottoiler Cycle S1 Auto Chain Lube System Help You Win? Twelve extra watts. Twelve EXTRA watts. That’s what the Scottoiler Cycle S1 Automatic Chain Lube System is promising you. Now that may not sound like a whole lot, but over the course of a road race, it can give you a serious edge over your competition. And who doesn’t like an opportunity to actually buy more power, right? If the claims of the folks at Scottoiler are right, the auto lubrication system could make a 5% difference in your performance. We are listening. But, according to Scottoiler, the system not only gives you more power, it also increases the life of your drivetrain and cuts down on muck. For those of us who are just a little lazy about maintenance, this is something of a golden goose. Basically, the Cycle S1 keeps your chain lubricated in a constant manner–not too much lube, not too little. The proper amount of lube should keep your chain from extra wear and tear that comes with friction and the grime build-up that can come from a super-oiled chained. All of this is done with Scottoiler’s own specific Speed Lube that washes with water and is formulated for high efficiency. All of this is delivered constantly to the chain via a battery (2xAAA) pack that pushes the lube onto your jockey wheel as you ride. 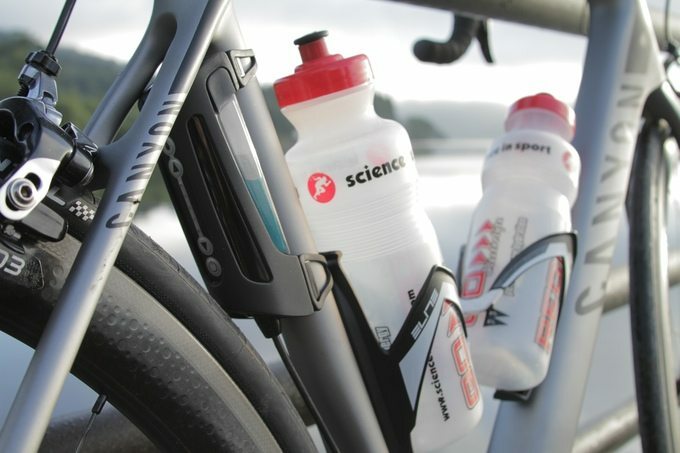 Different mounting options let the unit sit on a bottle cage or at the seat tube via rubber mounts. 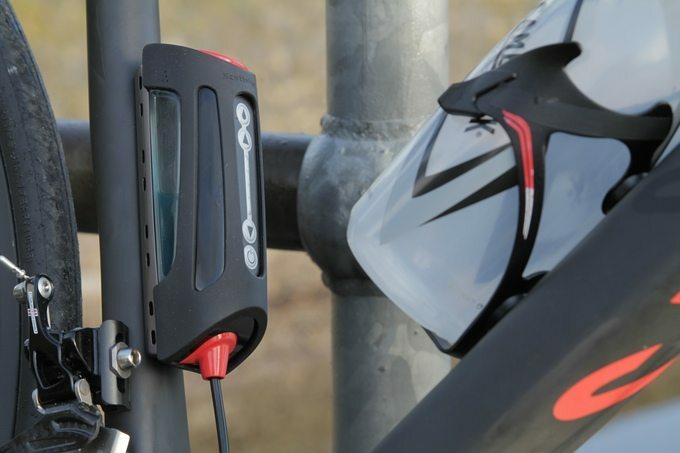 Dispensing rate is also fully adjustable based on your riding conditions. The unit, filled with lube, weighs in at an estimated 210 grams. I caught up with the folks at Scottoiler at Interbike, and the Cycle S1 looked to be working pretty smoothly–so I’m inclined to think this could slightly revolutionize chain maintanance all together. With actual scientific testing backing their claims, this could make faster riders of us all. They’ve still got several days left to reach their Kickstarter goal, so if you’re interested in grabbing a Cycle S1 system, head over to their page.